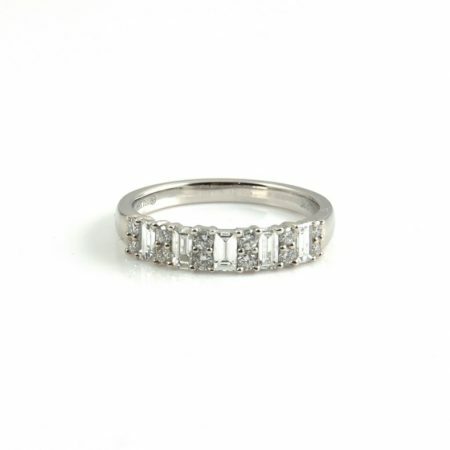 An 18k white gold baguette and round diamond ring. 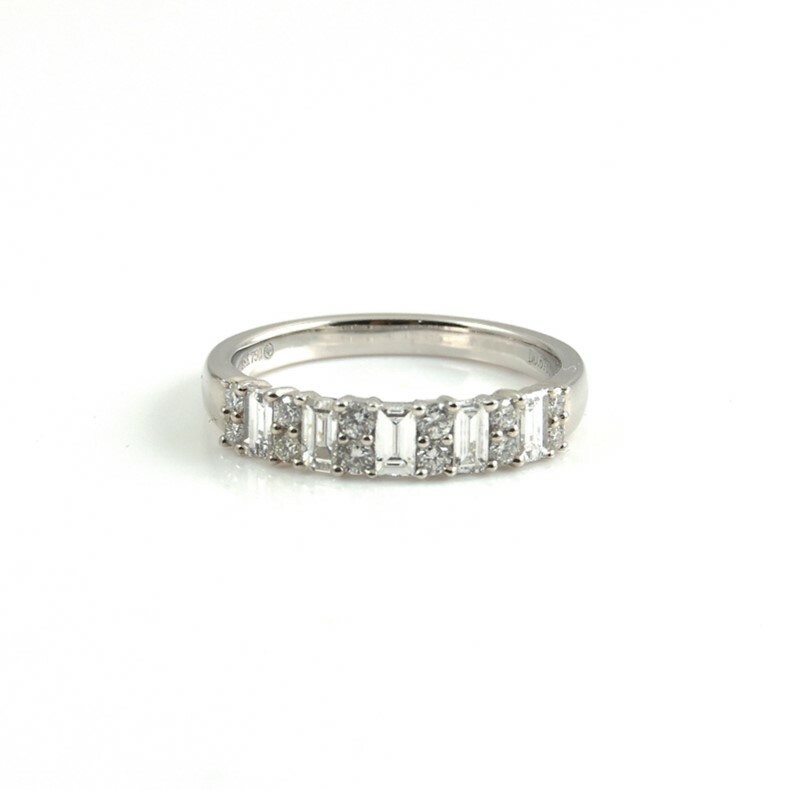 Featuring a total of 0.67ct diamonds claw set into the band. To see our diamond earrings range click here.